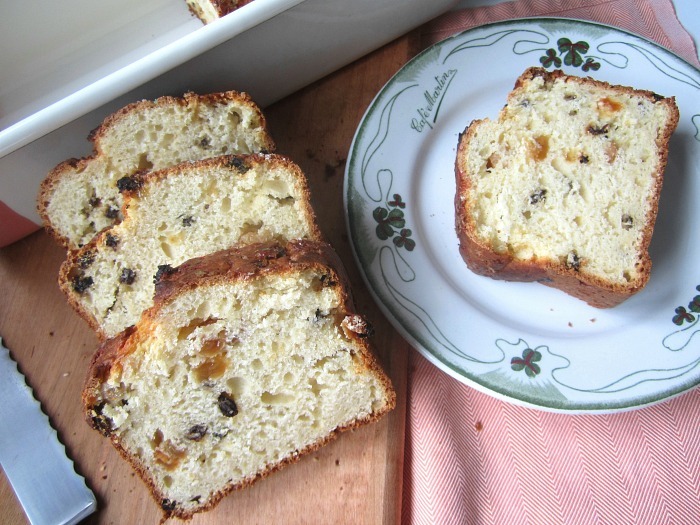 It's after St. Patrick's Day, so I can safely post this recipe without the nasty emails from the Irish Soda Bread purists! 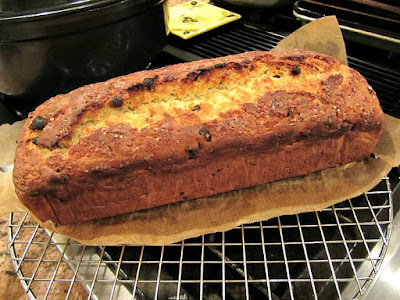 REAL Irish soda bread has no sugar, and has caraway seeds.....I know, I know. I love it. 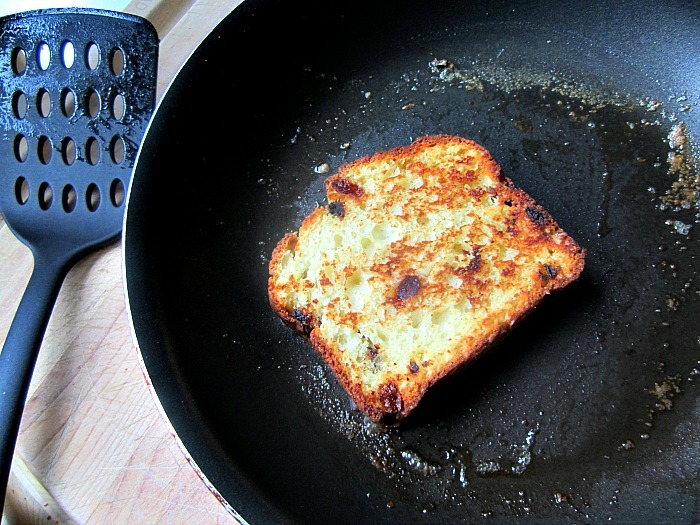 It gets rock hard the next day and is great toasted with butter. I have been making my husband's godmother's recipe (Mrs. Dale, a good Irish woman) for years.......it's tried and true....and always round. Make one for me, and one to give away. 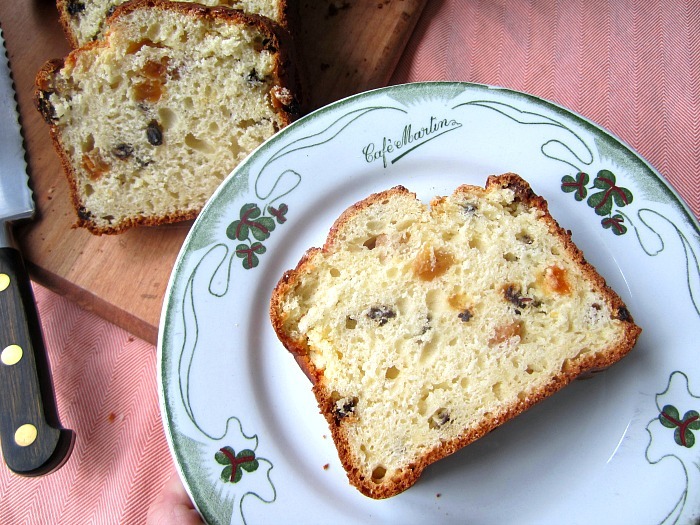 I like my soda bread on the sweet side....more like a cake.....we know I love cake. I was attracted to this recipe on the King Arthur Flour website called an "American Irish Soda Bread".....made American by adding the sugar, I guess. I don't want to fight with any lasses this week, so am calling this a "tea bread"! 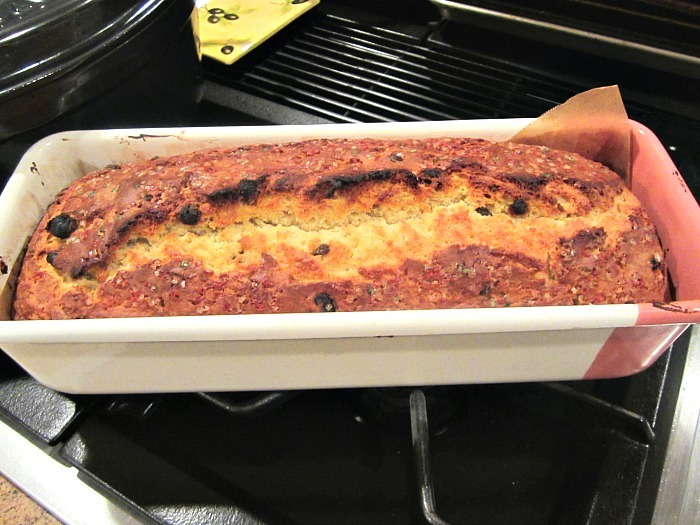 That's what it is in my book....a nice moist loaf with raisins and currants, perfect for afternoon tea or anytime. I did not have sparkling sugar for the top, but I did have confetti sparkling sugar! So made it flashy! In a large bowl, whisk together the pastry blend or flour, baking powder, baking soda, salt, sugar, currants, and caraway seeds. In a separate bowl, or in a measuring cup, whisk together the egg and buttermilk (or milk and lemon juice). Quickly and gently stir the wet ingredients into the dry ingredients. Using a pastry brush, brush the milk or cream over the top and sprinkle with the coarse sugar. Bake the bread for 50 minutes to 1 hour, or until a cake tester inserted into the center comes out clean. Remove the bread from the oven, loosen its edges, and after 5 minutes turn it out onto a rack to cool. Cool completely before slicing. Wrap airtight and store at room temperature. When it gets stale (after a few days), just put the slices in a pan with a tablespoon of butter. Even better! This is a WONDERFUL LOAF! Stacey, there are probably as many “authentic” Irish soda bread recipes as there are Irishwomen. Back in the day, “receipts”- especially for something so basic - were rarely written down. (Many women could not write!) They were passed along orally; women put them together from memory. Ingredients varied. A perfect loaf with a cup of coffee or tea. I love caraway seeds, currents and the idea of making crispy toast from the next day leftovers. I may attempt a gluten free version. I will let you know how it goes. I am convinced! I would love to try it. T x for this simple idea!